The One Million Arab Coders initiative welcomed its first cohort of 100,000 students on January 28, who began their online coding courses under four educational tracks, organisers said on Wednesday. “One Million Arab Coders Initiative has witnessed overwhelming response by enthusiastic students and tutors from across 12 Arab countries, with so many registering in the first few months since the initiative was announced,” said Hussain Sajwani, founder of the Hussain Sajwani – DAMAC Foundation, the strategic partner of the initiative. 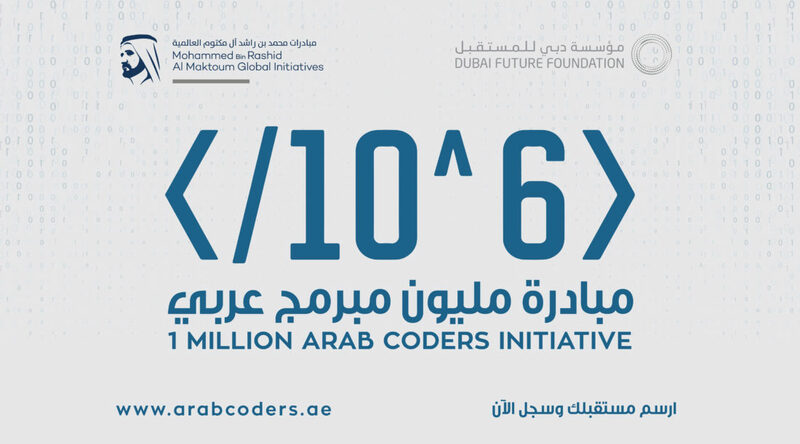 One Million Arab Coders Initiative was developed by Dubai Future Foundation, under the leadership of His Highness Shaikh Mohammad Bin Rashid Al Maktoum, Vice-President and Prime Minister of the UAE and Ruler of Dubai, and aims to provide free software development courses to one million Arabs. Applications have been received from countries including Algeria, Egypt, Iraq, Jordan, Morocco, Palestine, Qatar, Saudi Arabia, Sudan, Syria, United Arab Emirates and Yemen. While the initiative has attracted applicants aged between 13 and 55 years, the majority of the applicants are aged 18-24 years. Over 194,000 have opted to receive their course instruction in Arabic language in comparison to over 32,000 opting for English language. Courses are being offered across four tracks — Front End Web Developer, Data Analyst, Android Developer and Full Stack Web Developer. Of the four courses offered, Android Developer received the most registrations (34.62 per cent), and followed by Full Stack Web Developer (31.75 per cent). The duration of each course is 8-10 weeks, including quizzes, projects and exams, to complete the programme and receive the certification. Applications for cohort 2 are currently being accepted. The One Million Arab Coders Initiative will run over two years, with interested students and tutors required to register on www.arabcoders.ae, where students will receive essential skills required for employment in future jobs through a series of online courses and certifications.